For half a century we've known that Basmati belongs at the heart of every home and the centre of every table. Our love for this ancient delicacy means we never compromise; only exceptional is ever good enough to carry our name. 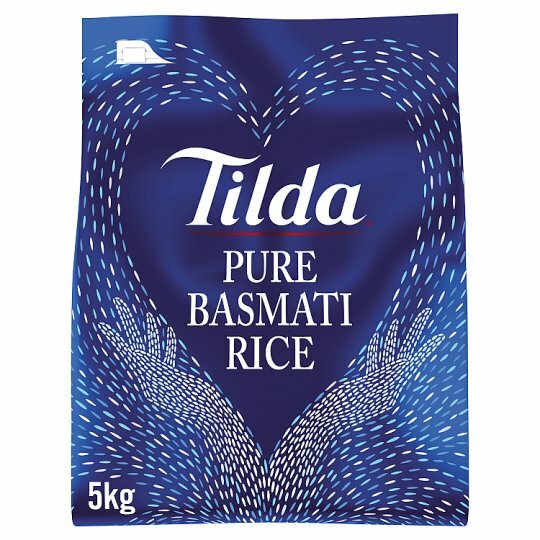 Using the finest quality grains means our Basmati is simply full of natural goodness with a wonderful aroma and a long, fluffy texture that you'll adore from the very first taste. Your kitchen deserves the best; trust us to bring you rice like no other you'll find on Earth and that you'll always be proud to serve. We remove broken grains because they release starch and cause sticky rice. We never compromise which means you don't have to. 2. Cook on medium heat for 10-12 minutes. 3. Drain well, cover and let stand for 3 minutes then lightly fork through the grains and serve.